It has been a bit of time since we last performed for Barrington Christian Academy; we wanted to be sure we provided them with a great performance. With an attendance between 80-90 students, we were pleasantly surprised that the students danced and partied from the time dinner ended to the last song of the evening! The event opened with pictures of the student couples, group shots of friends, and many other picture combinations as needed by the students. 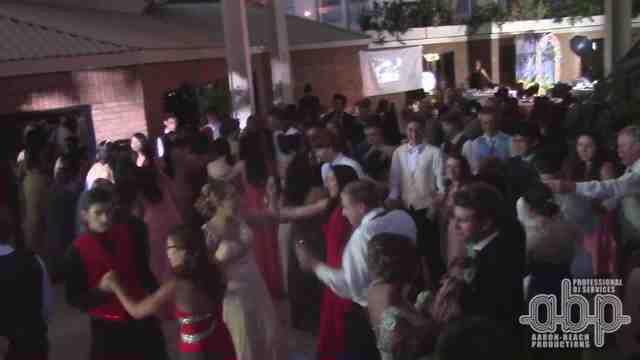 The venue provided a full course sit down dinner and dessert in a very timely manner allowing the maximum amount of time to get the students onto the dance floor. Kudos to the Crowne Plaza in Warwick for doing an outstanding job! The students were dressed to impress and represented themselves as proper young adults throughout the night. With their diverse song playlist that they created, even the off the cuff requests were songs that could easily be accommodated allowing them to have a great time and satisfy all of their musical tastes. The students and staff seemed to be very happy with our performance and it looks like we've reconnected to have a long running line of continued performances for them. We are very excited to be part of their community and look forward to working with them in the future. We wish all the students the best and look forward to seeing you at your next event!